Some of the most common mistakes when it comes down to make up is eye shadow. It can be pretty difficult knowing what eye shadow works suits you best and with so many colours being released into the shops, the whole thing can be a bit confusing. 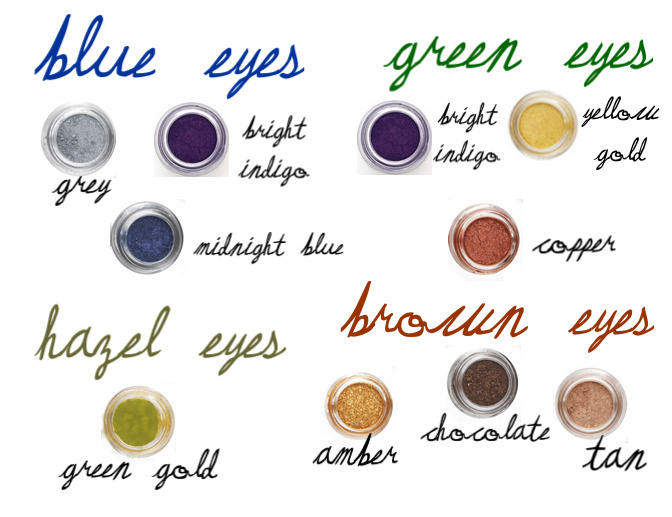 All these eye shadows can be brought from Barry M.
If you have blue eyes, use taupe, gray, voilet, purple, deep blue, dark green or plum eye shadow. If you have green eyes, sandy, copper, brown and golden brown shades work amazingly. If you have dark green eyes choose deep purple shades. When it comes to hazel, eyes its best to stick to shades as close to your eye colour as possible, this can be tricky because there are not many ‘hazel’ coloured eye shadow. If you’ve got brown eyes; tan, chocolate, amber and taupe shades work fantastically.